In closing, these dream makeovers change seriously ill children’s lives by bringing hope… For a few others who still need to be recognized! Thank you Tish for referring Eduardo and bringing his elementary school crew with you! 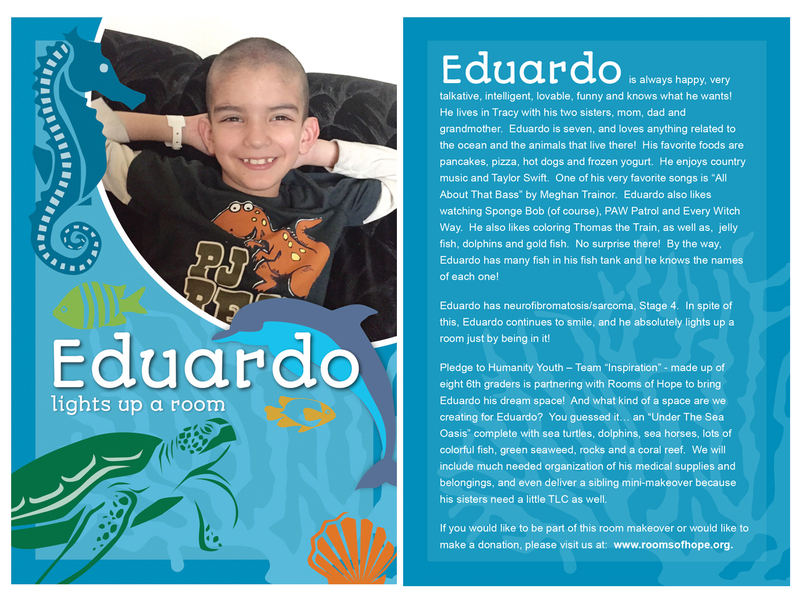 Thank you Randy & Marilyn for allowing us to create these spaces for Eduardo and his sisters in your rental home! Thank you George for taking such an active role in this makeover and more, and Emilia who kept up through it all! Thank you to Sharon and Kim for feeding our crews both days and Rachel for the wonderful photos! Thank you all for sharing your talents, treasure and love! Hugs and gratitude, Eduardo and Shelley! We all adore you Eduardo!! !